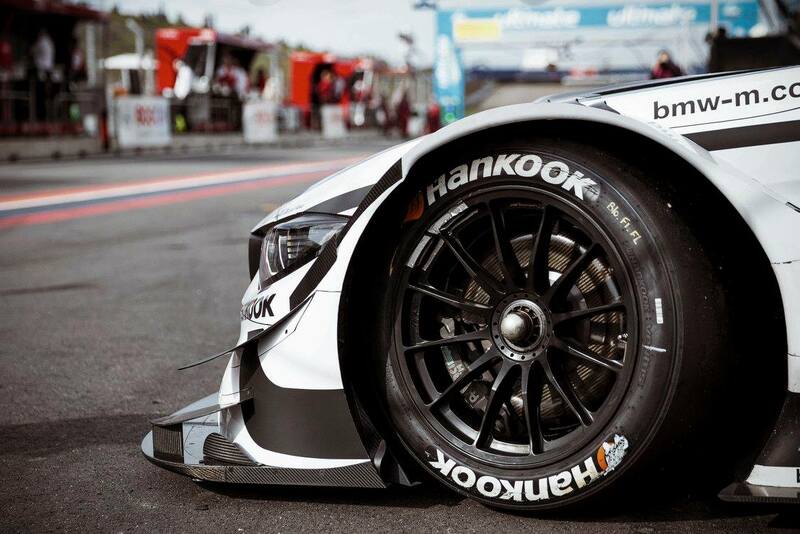 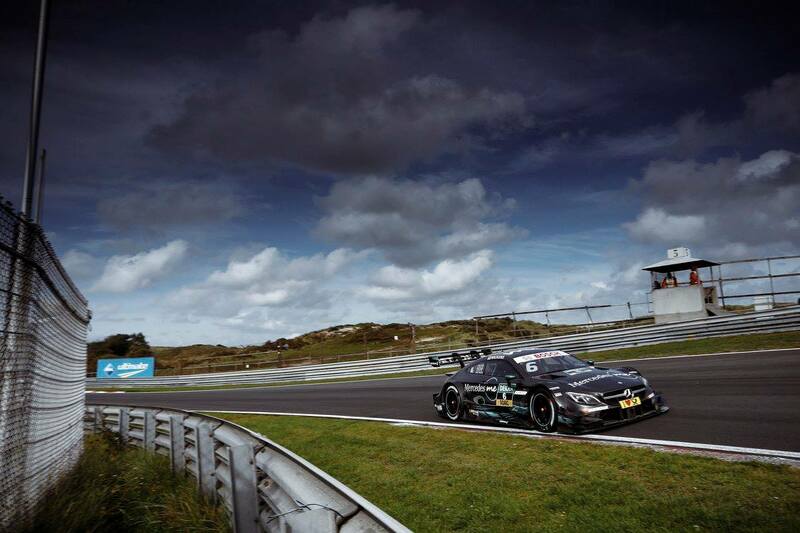 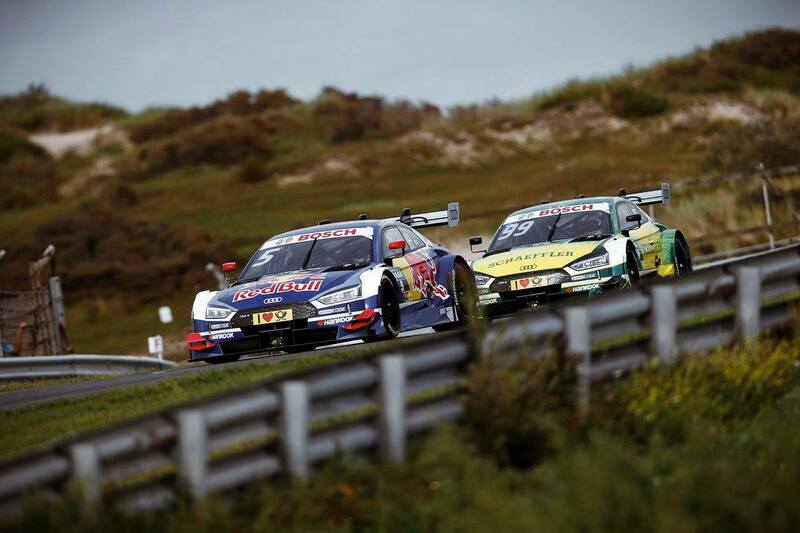 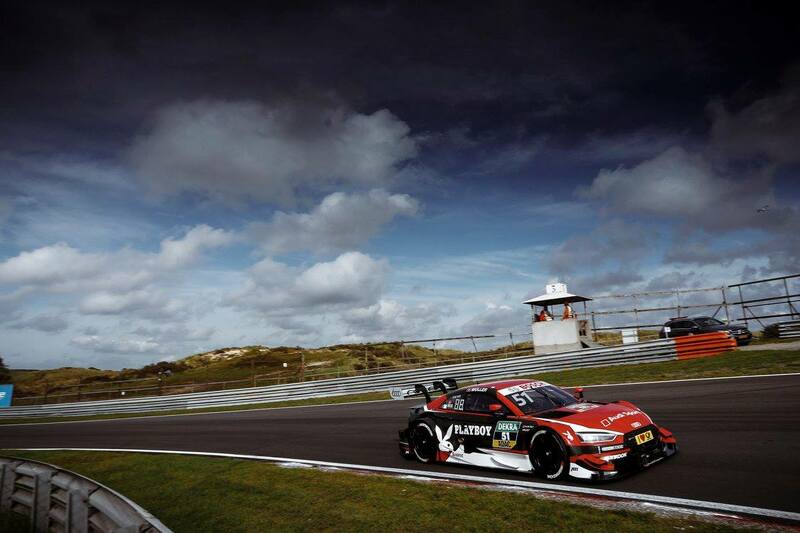 DTM Zandvoort 2017 was a success for BMW and Audi, with both brands winning full podiums on two separate days. 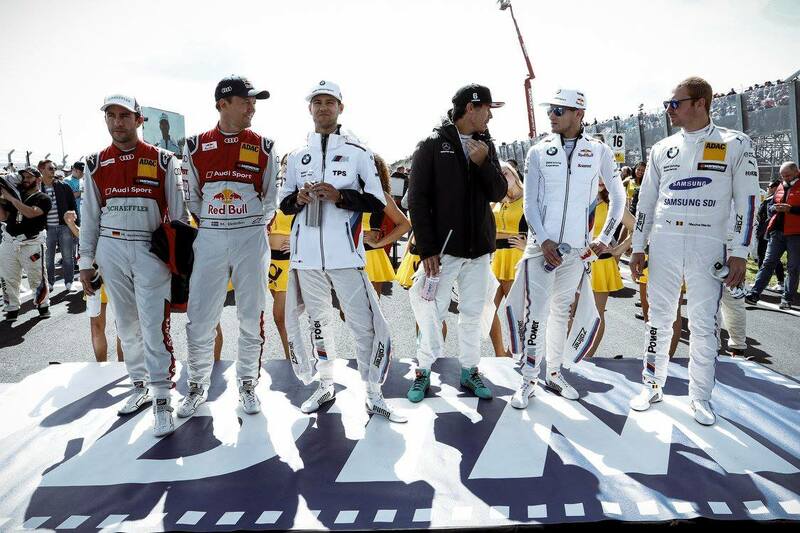 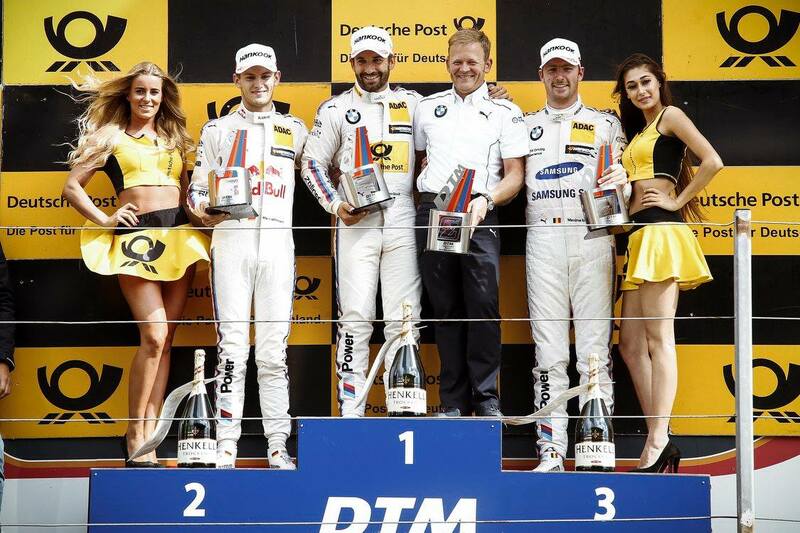 BMW celebrated a clean podium sweep on Saturday while Audi did the same on Sunday. 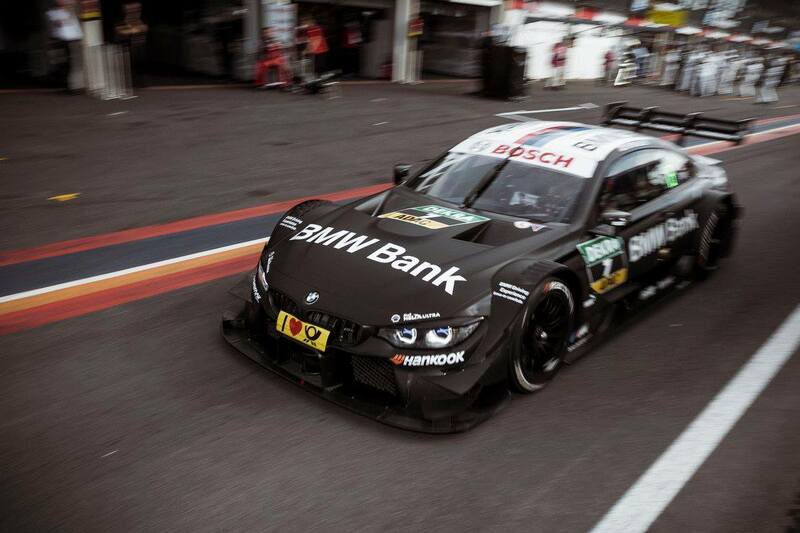 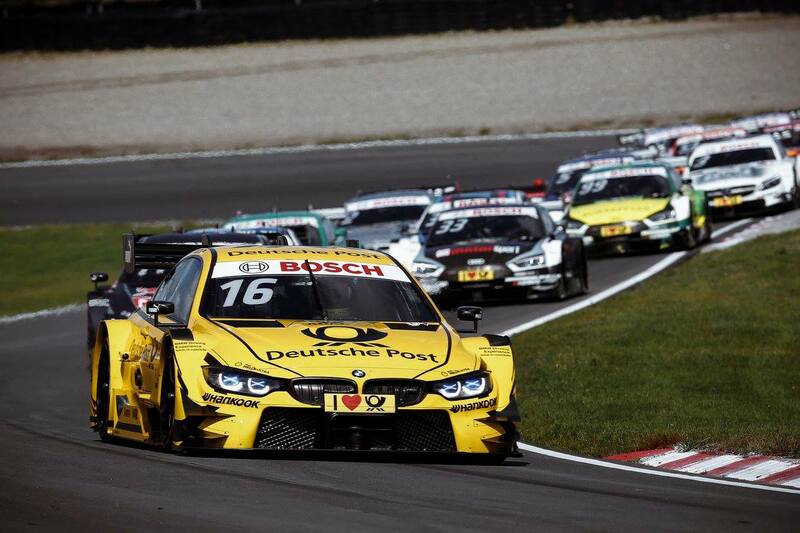 Timo Glock led the BMW camp on Saturday, crossing the finish line ahead of Marco Wittmann and Maxime Martin. 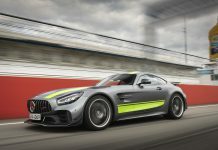 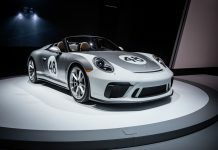 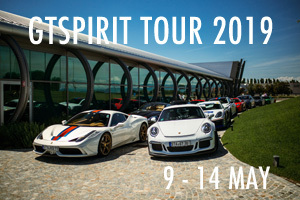 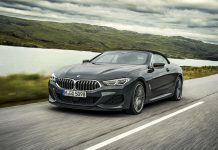 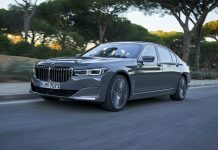 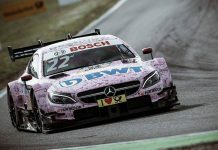 That elevated the brand to second place in the standings with 380 points, demoting Mercedes-AMG to third while Audi still held an upper hand with a 446 points lead. 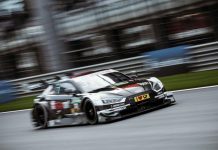 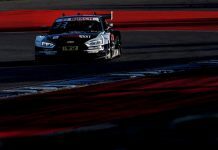 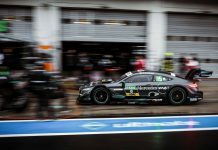 On Sunday, Audi managed to stage a 1-2-3 victory, after BMW driver and defending champion Wittmann was disqualified from the race. 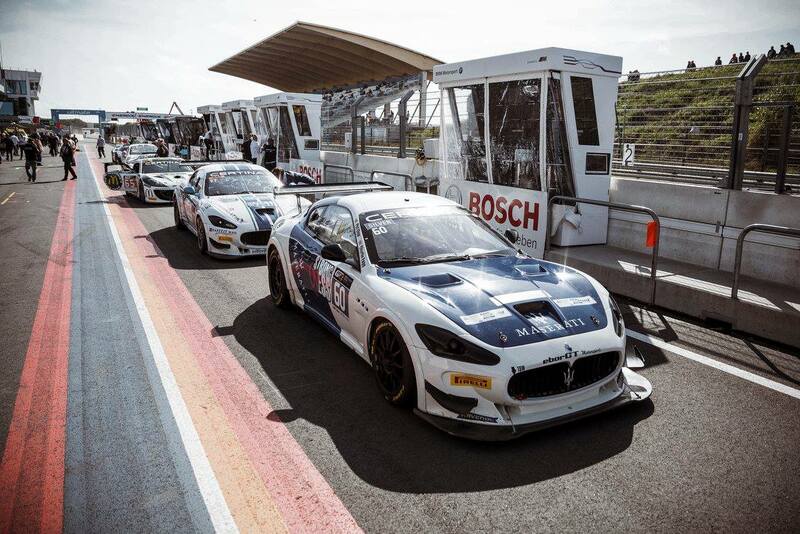 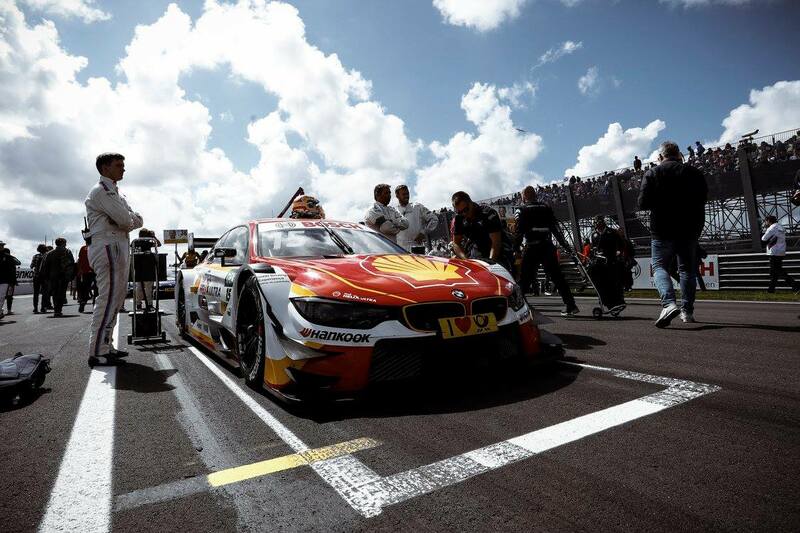 He finished first but his car did not have fuel in the end, the rules stipulate that each car should have at least 1000 grams of fuel left after the race. 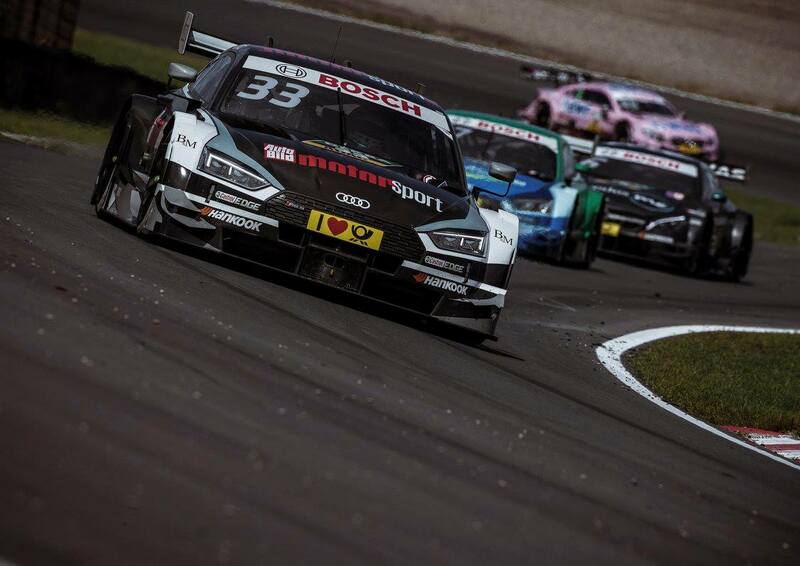 As such, Mike Rockenfeller scored his third podium victory of the season by finishing first ahead of fellow Audi drivers Loic Duval and multi-series driver Mattias Ekstrom. 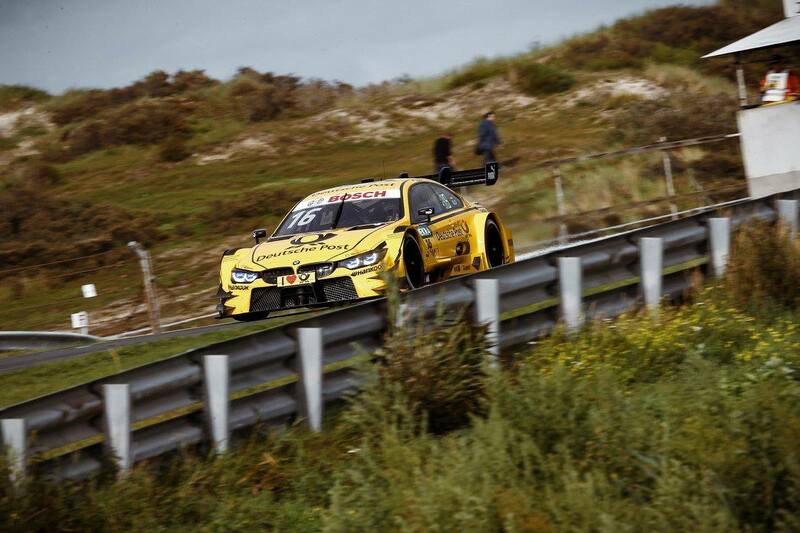 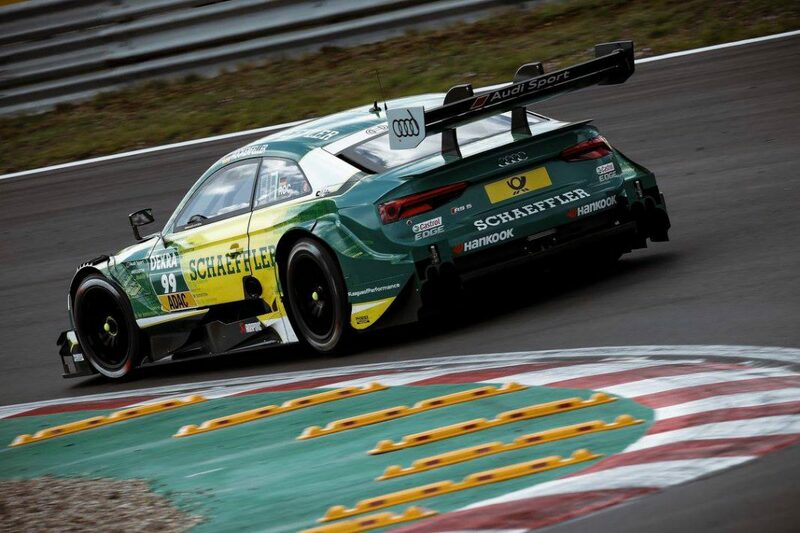 Rockenfeller had finished fourth in race 1 on Saturday ahead of James Green and was the best placed Audi in the race. 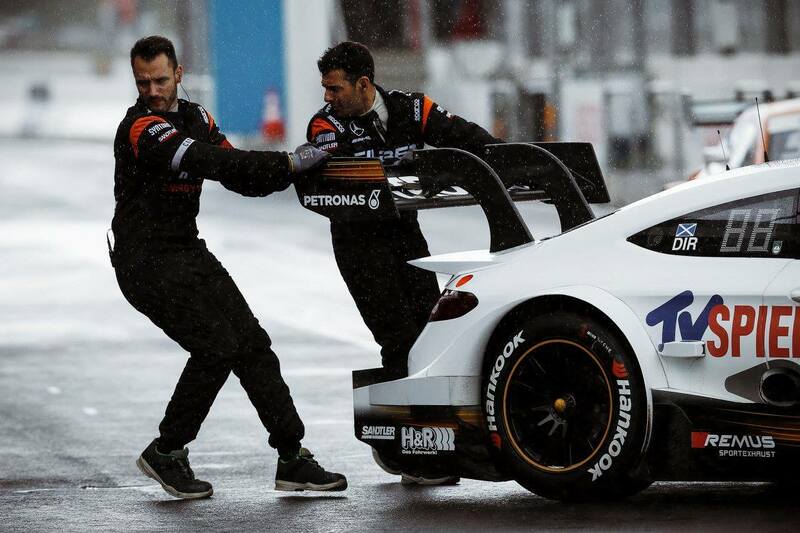 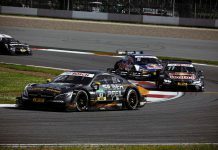 Augusto Farfus was sixth, while best placed Mercedes was that of Paul Di Resta in seventh place, Gary Paffett in another Mercedes came home in eighth place. 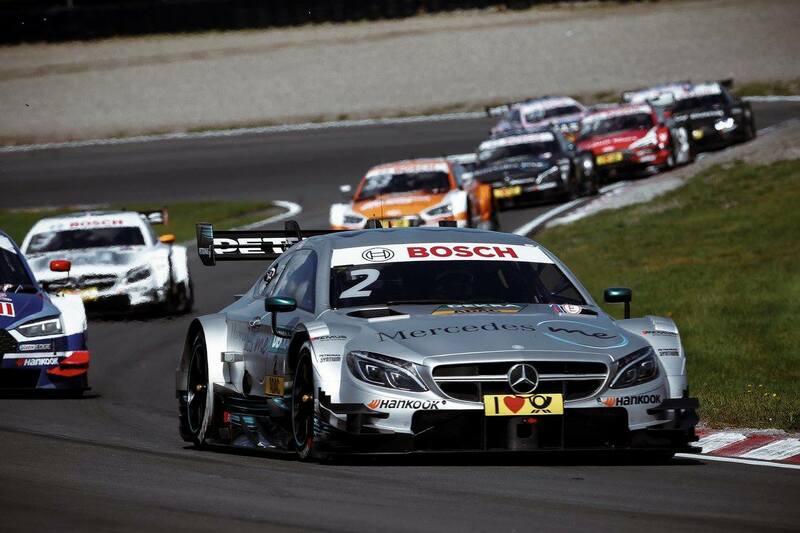 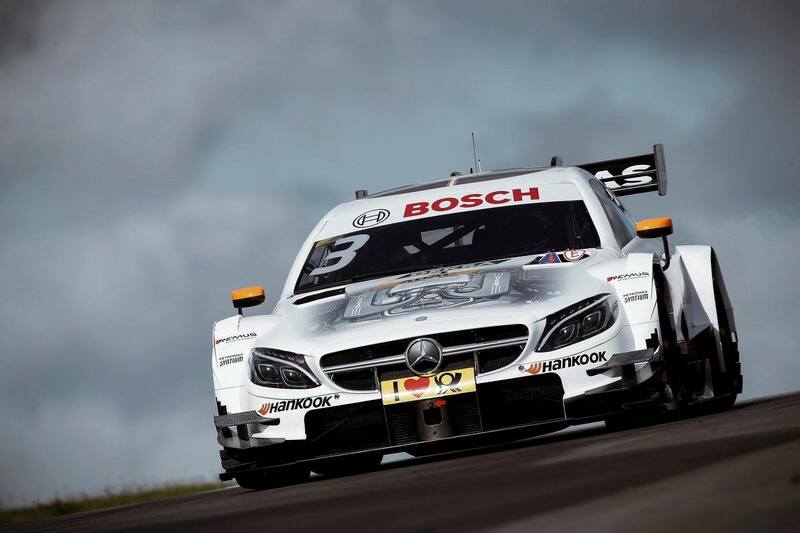 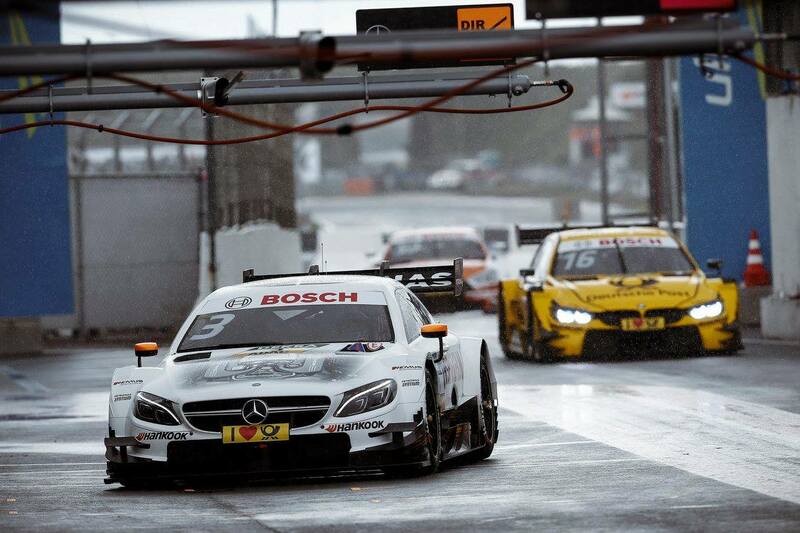 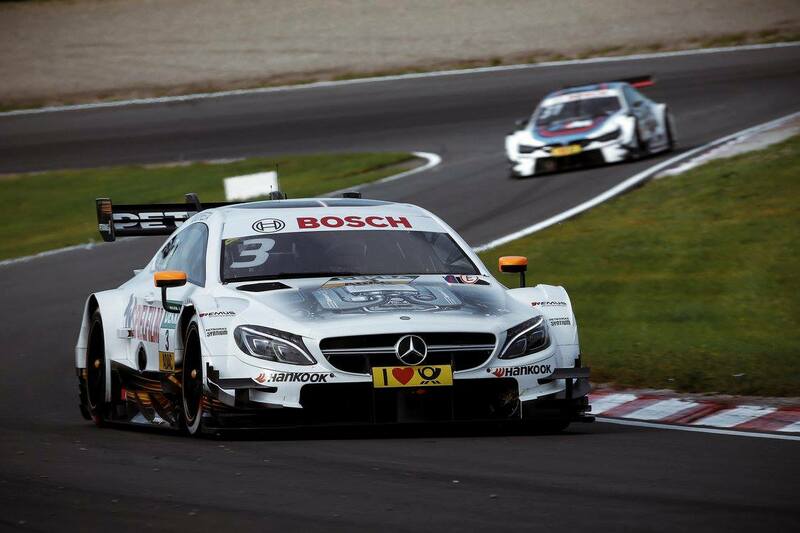 Paffett was the best placed Mercedes in race 2 finishing fifth behind the Audi of Nico Muller. 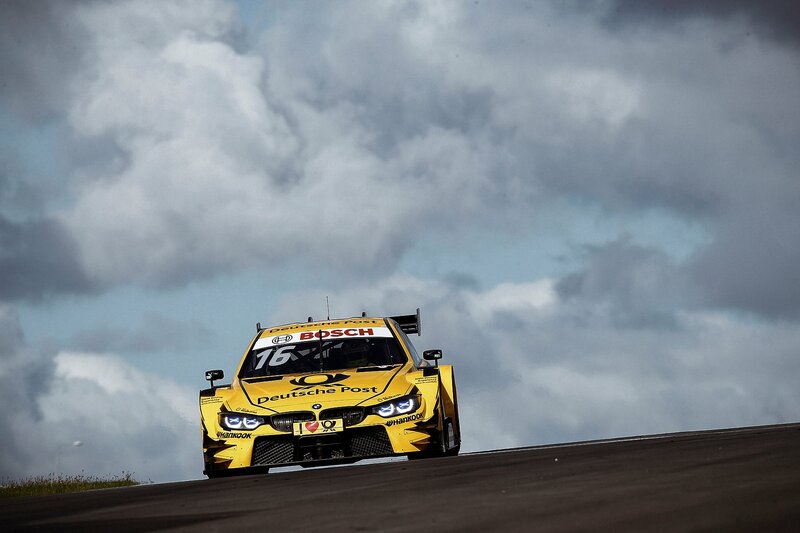 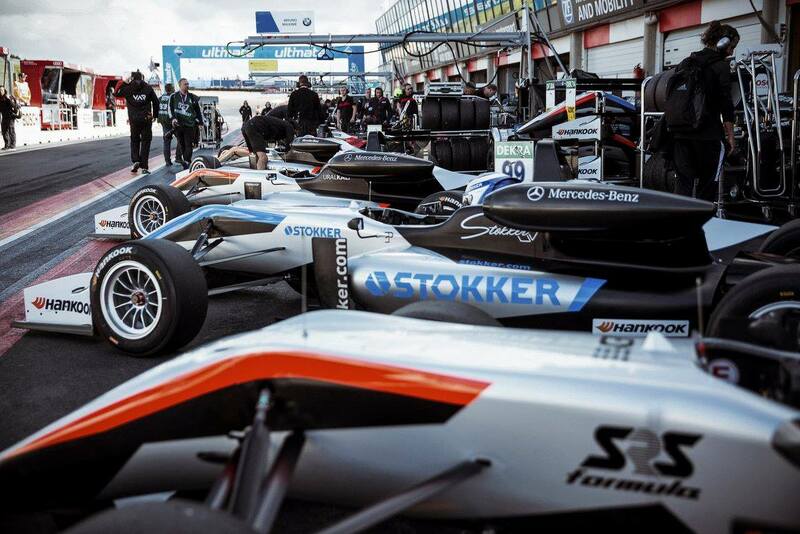 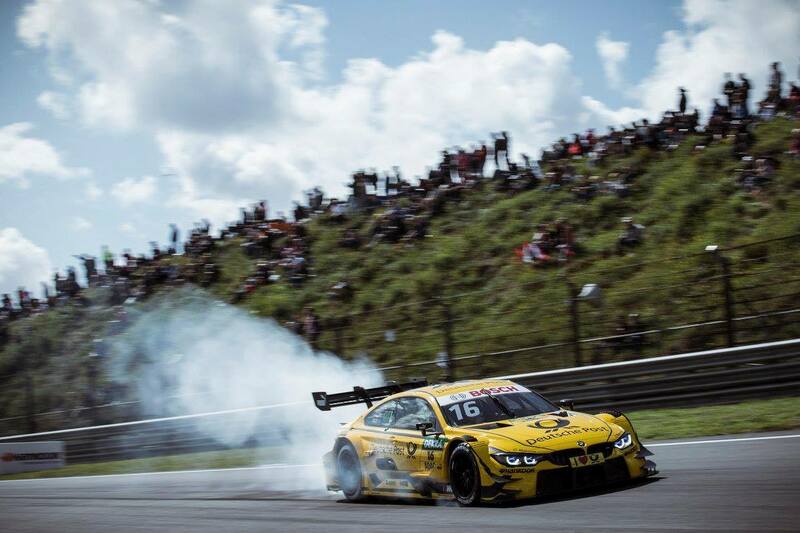 P6 to P8 was a lineup of BMWs, led by Martin, race 1 winner Glock and Farfus. 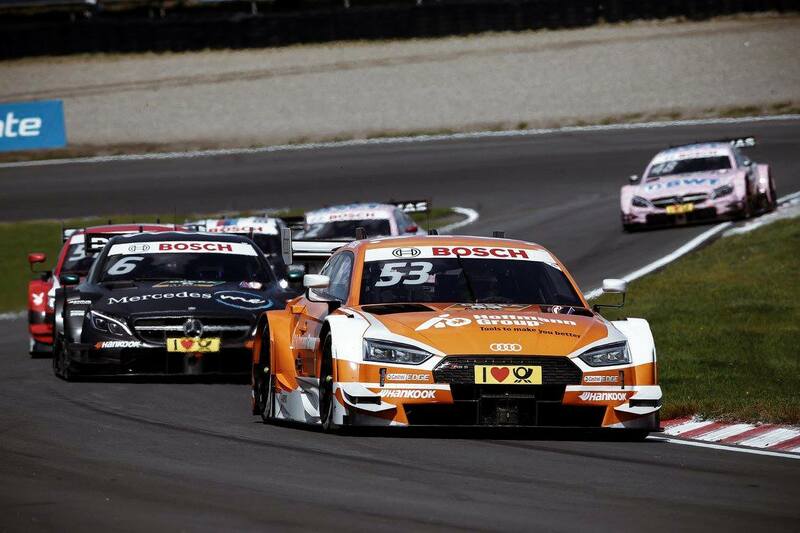 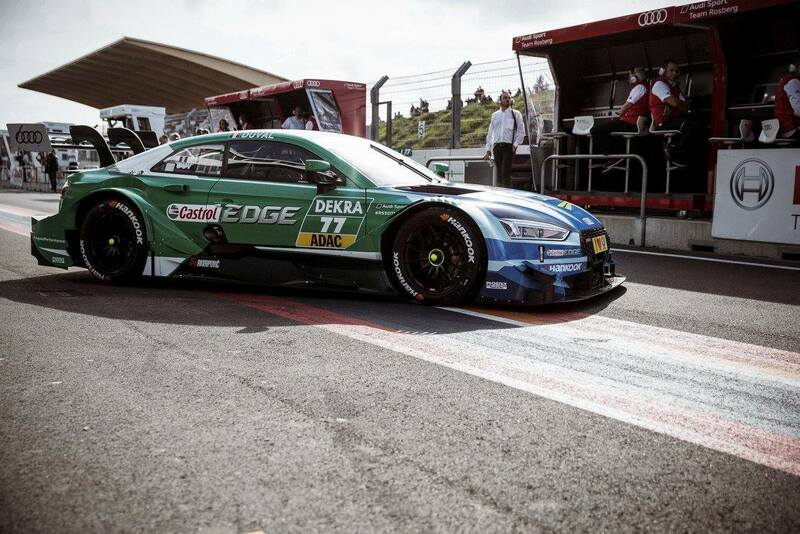 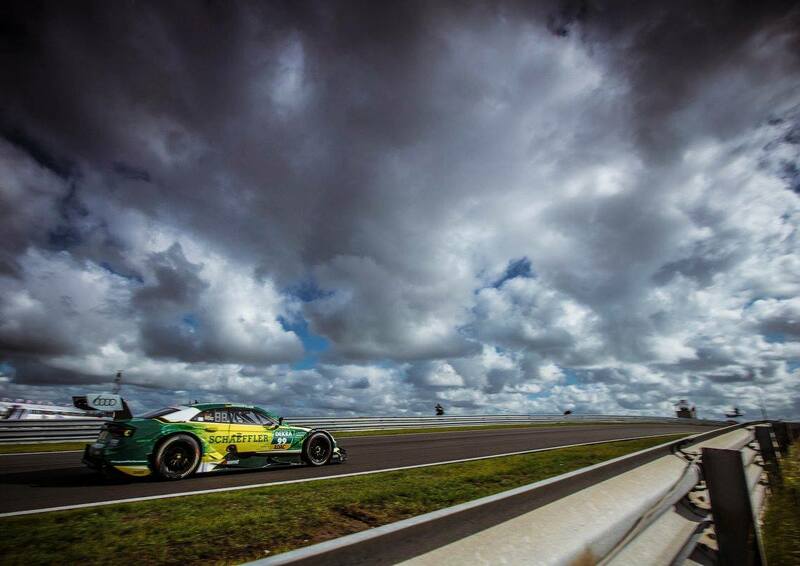 Green came home in ninth place for Audi while Bruno Spengler rounded off the top ten. 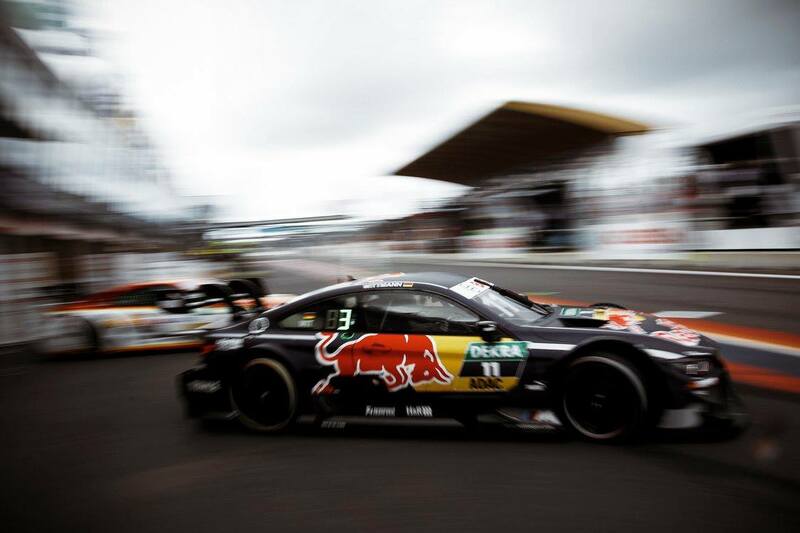 In the standings, Ekstrom leads with 128 points away from Rene Rast with 114 points, Rockenfeller with 110 points, Glock with 104 points and Martin with 102 points. 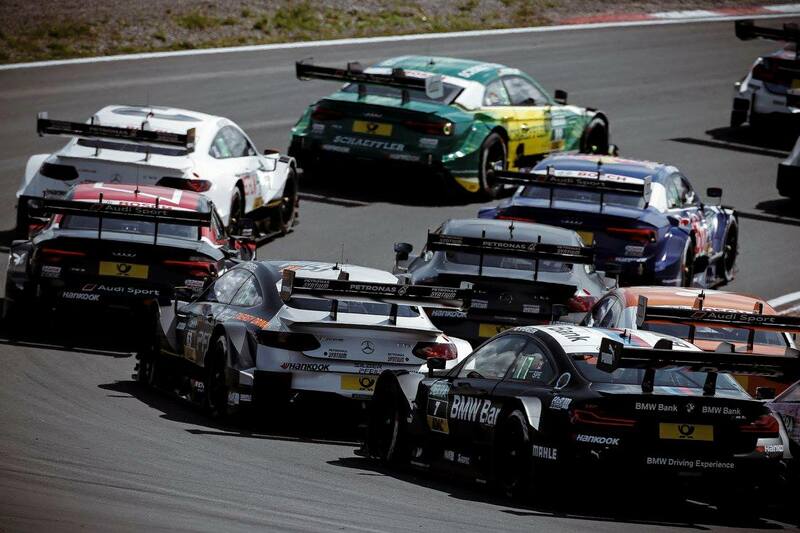 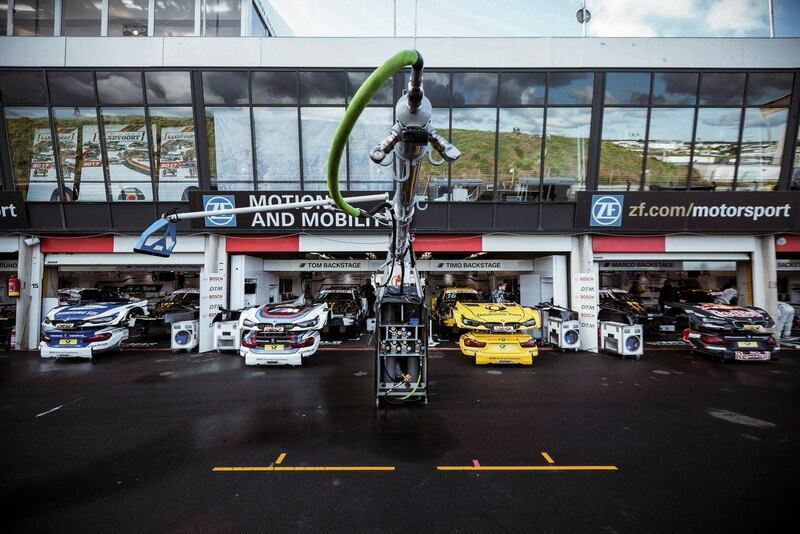 The next round heads over to the Nurburgring on September 8.